A fabulous wedding look needs fabulous finishing touches – and that usually means jewellery. But if you have been sighing over a diamond tiara, or an elegant three-strand pearl choker that you can’t possibly afford, we’re going to let you in on a little secret. You don’t have to buy, you can hire beautiful jewellery without the designer pricetag! 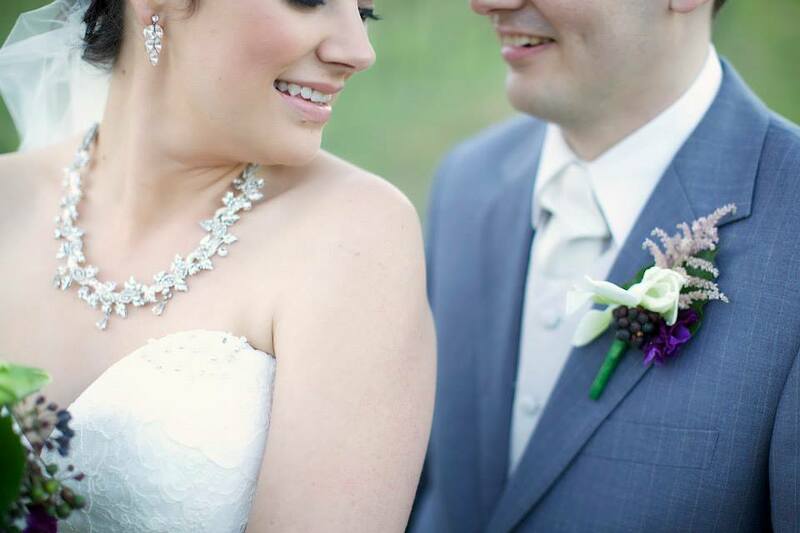 Exquisite Jewels For Hire provides wedding jewellery for brides throughout the Hunter Valley and Newcastle areas. From genuine diamonds to vintage-style pieces and Swarovski crystal pieces from some of the most sought-after designers, they have everything you might need, or desire for your big day. Here’s a few practical things to keep in mind when choosing jewellery for your wedding day. It’s generally more effective to choose your wedding dress before hiring jewellery. If your dress isn’t going to be ready until shortly before your wedding, make sure you carry detailed pictures of the design when you browse the showroom at Exquisite Jewels For Hire. If your dress comes with an overlay of crystals scattered throughout the skirt or perhaps some diamante on the bodice, for example, you’ll need to avoid jewellery that adds too much glitter too close to the detail of the dress. This can end up looking overdone, and ruin the overall effect of your look. Successfully accessorising an ornate dress probably means wearing simpler jewellery. You might want to avoid coloured stones, or overly fussy designs, and go for elegant and streamlined. Think platinum and clear Swarovski crystal or genuine diamonds. If you do want something a little more bling, consider a tiara or other headpiece. That way, it’s far enough from your dress not to clash. If you have a simple and classic dress, why not consider a statement piece of jewellery? Think a collar of coloured stones with a matching cuff, or that three-strand pearl choker, or a stunning diamond tiara – there’s lots to choose from at Exquisite Jewels For Hire. We’d advise you to think about silver rather than gold, and pearls rather than highly coloured jewellery. Colour can work, but there is a risk of overwhelming the delicacy of the lace. Ornate and vintage-style items often complement lace beautifully. Fab it up with a discreet touch of gold bracelet. Alternatively, enhance your independent style with chunky earrings and several complementary bracelets. Exquisite bridal jewellery doesn’t have to lack colour. Clear crystal is stunning and always on trend, but it is far from your only choice. There are plenty of gorgeous pieces that would be perfect for subtly picking up your wedding colour theme. For instance, if your colours are blue and yellow, you might choose a pretty pair of pastel blue earrings. If your colouring suits darker shades, deep sapphire tear drop earrings might raise a few gasps of appreciation as you walk down the aisle! They could be your ‘something blue’ too! It’s quite likely you’ll be dazzled and instantly in love with most things you see in the showroom. Just make sure you don’t set your heart on something before you try it on! Take a friend with you for a second opinion, and also take photos of yourself wearing the jewellery you’re considering. That way, you will have a visual reminder when you’re mulling over your choice later. 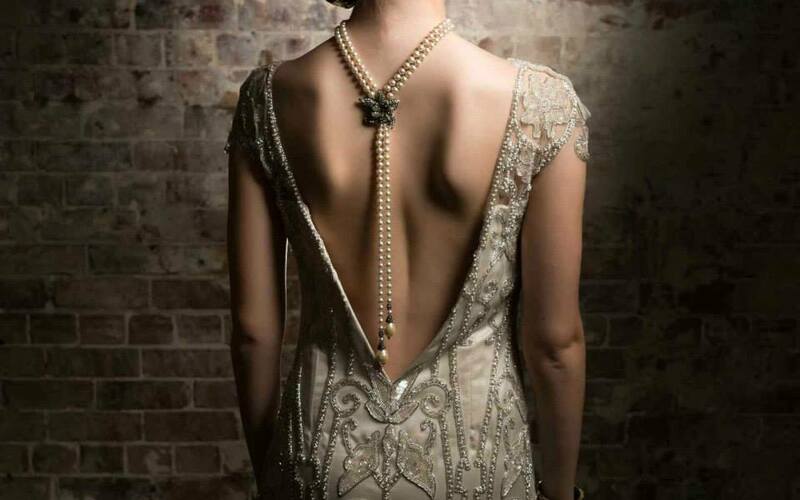 If you’re eager to find out more about sourcing some serious bling for your wedding, check out Exquisite Jewels For Hire on the Hunter Bride directory. It’s the place to go for designer jewellery at an affordable hire price. Happy browsing! Every bride has her own unique personality. Wedding accessories provides a means to show it! Let’s follow the “something old, something new, something borrowed and something blue” custom, though lets make it even more fun by choosing to go the creative route. Three letters: D-I-Y! Not only is this practical and fun to do, self-made projects make a lasting impression on guests. They like to see the creative details of even your tiniest wedding décor or accessory. So go ahead and be that DIY bride. Try and find old pieces of textile (great if they match your theme! ), used lace veils, floral brooches, ribbons, etc. 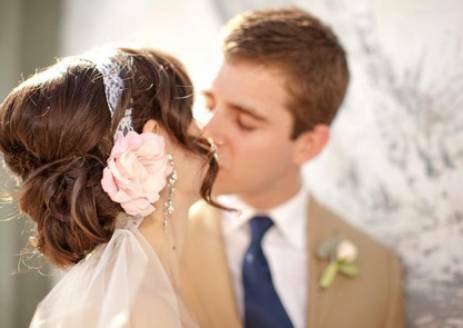 You can reuse each material and come up with a bridal head band! You can even make a variety of these for your bridesmaids. If you are one of those girls who got a precious heirloom as your engagement ring, then you definitely must go for something “new” in your bridal accessory checklist. While some brides choose to have their mother’s wedding gown altered to fit their shape, you can have a dress that’s 100% your own! 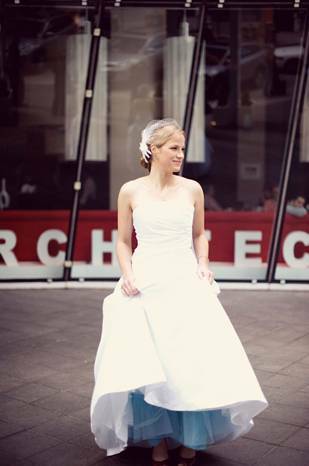 Buy a new wedding gown – visualised and chosen by you! With many trends coming out with weddings, this one is pretty cool: Hire an Umbrella for your wedding! Oh why not! With the unpredictability of weather conditions these days, you wouldn’t want it to ruin your day. We take the stress out of random weather patterns by providing you with a wet weather back up plan at minimum cost. We have hundreds of elegant and high quality umbrellas available for hire, to cover you, your wedding party and guests. Or if you’re after something a little bit different, check out our parasols and fun umbrellas – we have the largest online range in Australia! Too cool, you can even have a fun parasol that is uniquely yours! Last but not least, is your something blue! How about having your crinoline dyed blue? It will add some attitude to your wedding gown! It’s quite refreshing seeing a traditional white wedding gown give a little shade of blue each time you lift up a little bit of your dress. Everyone will remember not only how you celebrated your wedding, but how you brought out your very own bridal personality. Visit the wedding accessories category for more ideas and choices .